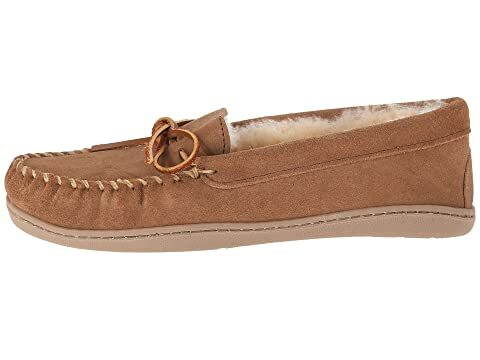 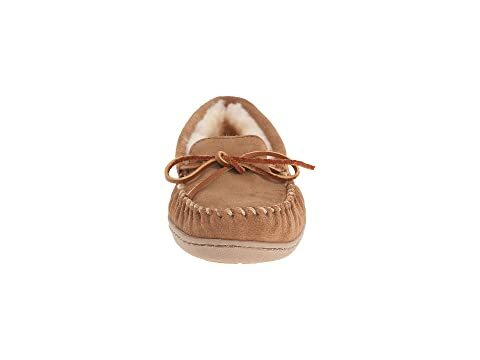 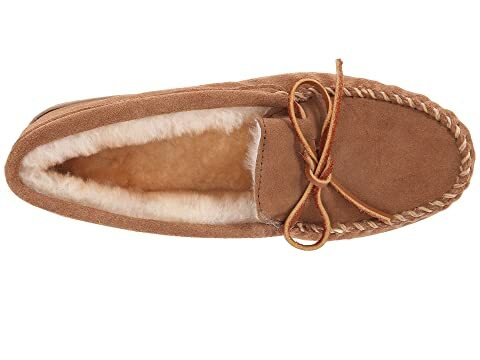 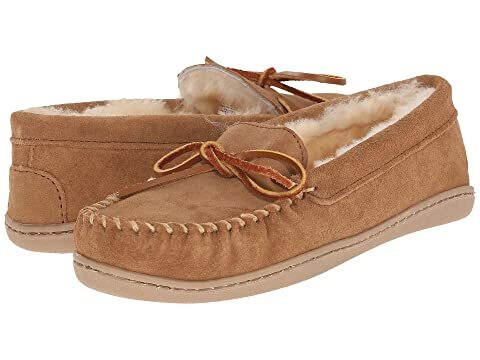 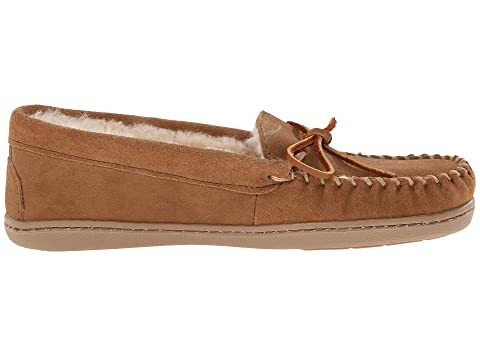 Traditional moccasin slipper in genuine sheepskin. 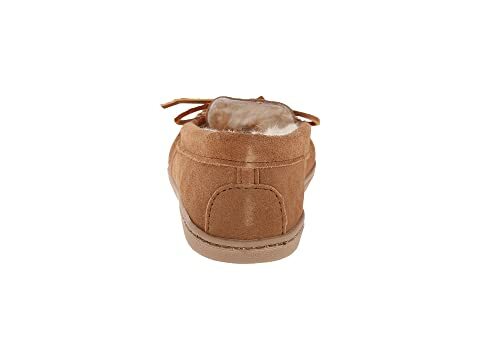 Soft natural wool helps wick moisture away from your skin. 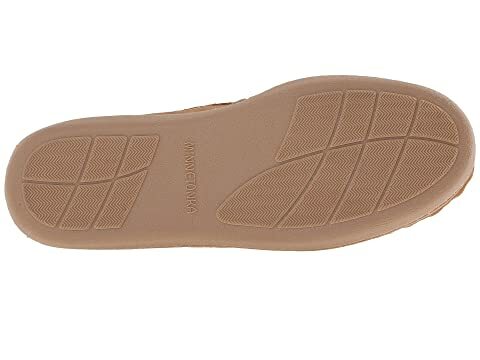 Padded foam for extra comfort.